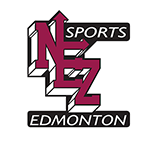 NEZ Hockey is accepting applications for coaches for our PeeWee 1 Chill Team and for our Bantam 1 Chaos team. Applications are also being accepted for the Bantam & Midget programs. Please email us at nezsports@ telus.net if you would like to coach. Let us know what team/level you are interested in coaching. Let us know your coaching experience, your qualifications and if you have a coaching staff.